Sorry! We couldn’t log you in. Also, please make sure your Caps Lock key is off. I’ve uninstalled and reinstalled both the Imprudence and Second Life viewers multiple times, being sure to eliminate the logs, the caches, and the “application support” files. (I’m on a Mac.) I have been able to get SL running again by using a backup copy of user settings, but I don’t know what it is I did correctly when I did so, because I’m currently not able to access SL even after redoing the entire reinstall again. I can’t even log in to SL with Imprudence (which I could one of the prior times.) I’m really stumped. A tip of the hat to Hamlet Au for pointing out a lovely post about building community in Second Life. at SLifeFantastic: How to Build *Community* in SL. Dame Ordinal is gone: Ordinal Enterprises has been de-rezzed, her Engine is deleted, and Twitter has remnants of her messages. 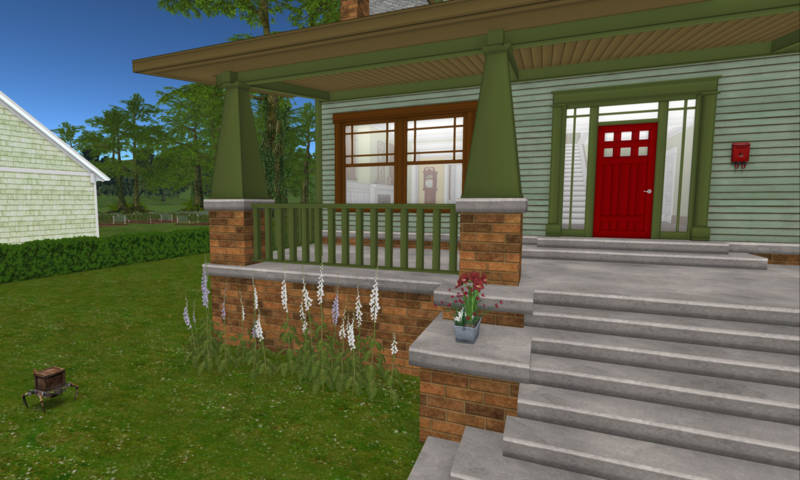 A shocked group gathered in Caledon this evening, and the Guvnah has enable building on the sidewalk. Many messages have been left already. Otenth Paderborn will be at home, Friday the first of January, 12 noon til 4 pm SLT. Conversation and Dancing. Midgard Music: Adventurous Audio. Tipjar for D’Argo’s medical expenses. There is no difference between so-called “first life” and the unfortunately named Second Life. If you are doing something…whatever you are doing and whatever context you do it in: it is life. That is the heart of her argument, but it is placed within a truly first-class rant (with exceptional cursing). Do go read the whole thing. Or else they are. And I don’t know which is worse. Don’t get me wrong, I’m very glad for the people who are renting homesteads, either directly from Linden Research or from a landlord. It’s very nice that they have an unexpected additional year at this rate. And it’s oh so generous of Linden Research to be offering to reinstate sims that were abandoned—even back to October 28! My, my, such corporate generosity. And such flexibility, to extend the recovery period back to their initial announcement! On a much more basic level, what about the line they fed us about why they had to completely rework the open space sims because of their bad business model and their inadequate technical infrastructure? What about those still-unidentified script limits that are supposed to be part of the homestead sims in order to make it possible for the grid to sustain them? * Since we had to forego some revenue, we have to make it up somewhere, and charging full price to new Homestead owners is part of the way we pay for that. The rest, we believe, will come through additional features we think our customers will be willing to pay for, such as the AvaLine product released last week. * We forecasted a revenue plan that included abandonment of Homesteads at the current rate, and based on that forecast, we think we’d have done better financially in the short term if we raised Homestead pricing for everyone. But we’re building a business to last, and we don’t want to think in the short term when it comes to you, our customers. We don’t succeed unless you do. So we took the step of doing what was right for you, placing a bet with ourselves that we could deliver more value and performance to you within the next year. We think you’ll be happy with what’s in the pipeline — and in the meantime, you won’t pay more for what you have today. “We don’t want to think in the short term when it comes to you, our customers.” Mmhmm. Right. Let’s see now, when did you make your initial announcement about the change in open space sims? Ah, yes, that would be all of seven months ago, almost to the day. They are “placing a bet with ourselves that we could deliver more value and performance to you within the next year.” Good luck with that one, too. You’ll need it based on prior experience. Estate controls for windlight, anyone? You don’t really want me to link to the unresolved JIRA issues that are over a year old, do you? “We think you’ll be happy with what’s in the pipeline.” Let’s see now, that would include the forced relocation of businesses because of their content, right? I’ve been meaning to write about the “Future of Virtual Worlds” theme for Second Life’s sixth birthday, but really, I’ll just boil it down here: Unless Linden Research gets its act together, both as a business and as programmers, I cannot imagine the future of virtual worlds having much to do with Second Life, except as a fond (or not) memory.